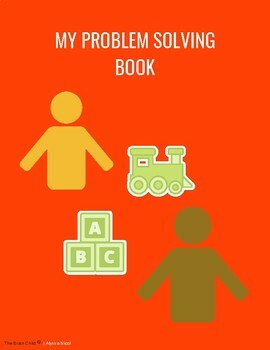 You're helping a child through the problem solving process, at the end you ask, "What could we do to solve the problem?" You're met with a blank stare from a clearly confused child. Has this ever happened to you? These problem solving cards are excellent visuals for giving children ideas and helping them access the logic and reasoning (front) brain when they are feeling overwhelmed. 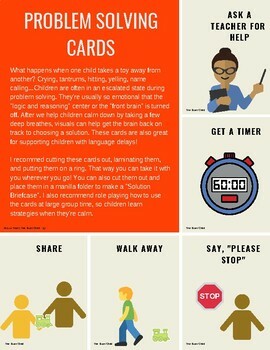 They're also an excellent support for involving children with language delays in the problem solving process. 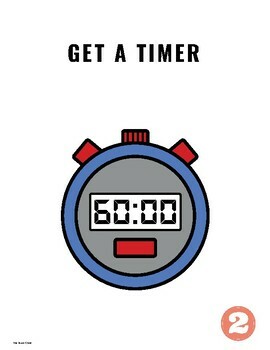 I laminate these cards and put them on a ring, so I can take them with me everywhere! The set comes with 5 cards and a full size solution book to stick in your classroom library!